Highly customizable & built by Facebook, Draft makes it easy to build rich text inputs. Uses an immutable model and abstracts cross-browser differences. It only took place earlier this week but videos from React.js Conf are already out. Perhaps start with Nick Schrock’s keynote. 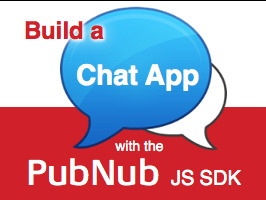 Build Your Own Real-Time Chat App....Fast! One of the key roles of frameworks like Angular and React is to externally represent internal changes in state and data. This is an in-depth look at how Angular 2 deals with this task. If you can be in SF March 9-10, come enjoy Fluent's hallway track, meetups (including one run by the Angular core team), Ignite, and more, for free (pick the ‘Exhibit Hall Plus pass’ and use code EH16SP). I’ll be there - come say hi. Ember gets a new LTS release channel - 2.4 will be the first version. The current version of React is 0.14.7, but the next will be 15.0.0 to reflect React’s stability and to make the ‘15’ the major version component. The key takeaway is to “layer tools and functionality as you get more comfortable” but don’t jump in at the deep end. Automatically creates API documentation for every tag and selected branches in your repo, supporting JSDoc comments and Markdown articles. Maintenance releases. jQuery 3.0 final is on the way. An in-depth look at using Microsoft’s free code editor for Angular development. Lets your data structures become observable and your functions reactive so they re-evaluate when data is altered. Safari only for now. Your mileage may vary. Implementation of common Unix shell commands written in ES6 with no external dependencies.